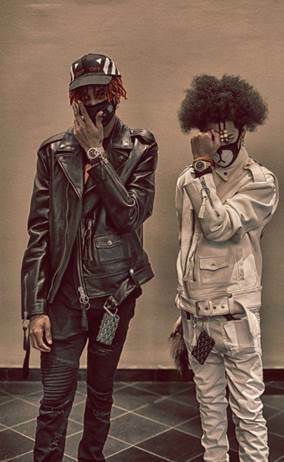 Brother duo and Columbia recording group Ayo + Teo unveiled their new video for their single “Rolex” receiving over 8million views since launch, watch HERE via Fader. Directed by DAPS (Migos’ “Bad And Boujee” and Wizkid’s “Come Closer (feat Drake”), the video features Ayo + Teo’s eye-popping array of signature dance moves. Produced by BL$$D and BackPack Miller. With millions of Instagram followers, “Rolex” is the buzzed-about track for your summer playlist, with celebrity fans including Justin Bieber, Kylie Jenner, and Hailey Baldwin. “Rolex” has over 81 million streams on YouTube to date. Ayo + Teo’s dance moves are uniquely their own, fusing today’s latest steps with classic club dance moves. Their signature step called “the reverse” led to the brothers being discovered by Usher’s choreographer. They were invited to dance in Usher’s 2016 video for “No Limit,” where they taught Usher “the reverse” and later joined him on stage at the 2016 BET Awards. This year, Ayo +Teo will perform at the BET Experience in Los Angeles.